First of all, whohoooo, it’s Christmas. I know the weather doesn’t look like it, but it is. So Marry Christmas to everyone. It’s so crazy how far away it always seems and all of a sudden it’s just here. Personally, I’m a total Christmas person because it’s just such a lovely season. I admit, last year I was a total Grinch but this year, I tried to make the most of it and enjoyed it, very much. So because today seems to be the perfect day for this post, here come all the things I love about Christmas. Christmas Music – I could listen to it all year-long but I guess people would finally think I’ve completely lost it, haha. I don’t mind listening to it on the radio at all, even if they play “Last Christmas” for the millionth time and I buy at least one new Christmas CD, every year. Seriously, if you don’t own the Michael Bublé Christmas album, who are you?! My favorite song is “Santa Baby” by Eartha Kitt and one day, I would just love to perform it somewhere. Christmas Lights and Decorations – During Christmas, everything just looks so pretty. The stores, the houses, our living room. If it was up to me, I would hang our whole house full of lights but nobody could afford that electricity bill. Our front yard looks very pretty, though. Then the Christmas trees. I mean, they just make me happy. I have a white and pink one in my room, which I’m always madly in love with and I leave it until February. 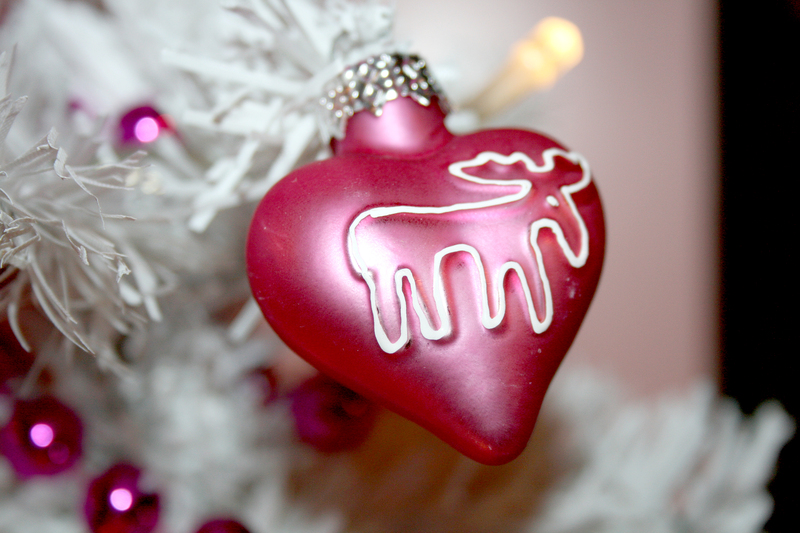 I’m always on the lookout for cute ornaments. Our living room has a classic red and gold one, which is also very pretty. And we have little bits and pieces everywhere, like stockings, more lights, figurines, bells etc. Christmas Movies – This year, I’ve been watching lots and lots of movies. Of course the classics like “The Grinch” or “National Lampoon’s Christmas Vacation,” my absolute favorite, but also a lot of new ones that I found on Netflix. I honestly don’t really care which movie I watch because I usually like all the Christmas movies. They’re just so cute and deep in my heart, I really love and want to believe the thought about Santa Clause, North Pole and the whole myth. Christmas Cookies and Candy – I just eat too much unhealthy stuff during Christmas time but I’m sure I’m not alone with that. I try to bake my favorite cookies every year, and always end up eating them pretty much by myself. And don’t even get me started on all the chocolate. I’ve been eating so much of it all month and I know it’s not going to get better in the next few days. But there is nothing better than Christmas chocolate. Advent Calendars – I honestly don’t care how old I am, I still want an advent calendar. Apparently. last year I told my mom that I didn’t but as mentioned above, I was a total Grinch. This year, I bought myself two and I’m actually really sad that I opened the last door, today. I waited a few days into December because then you can get them at 50% off, which is a much better price. 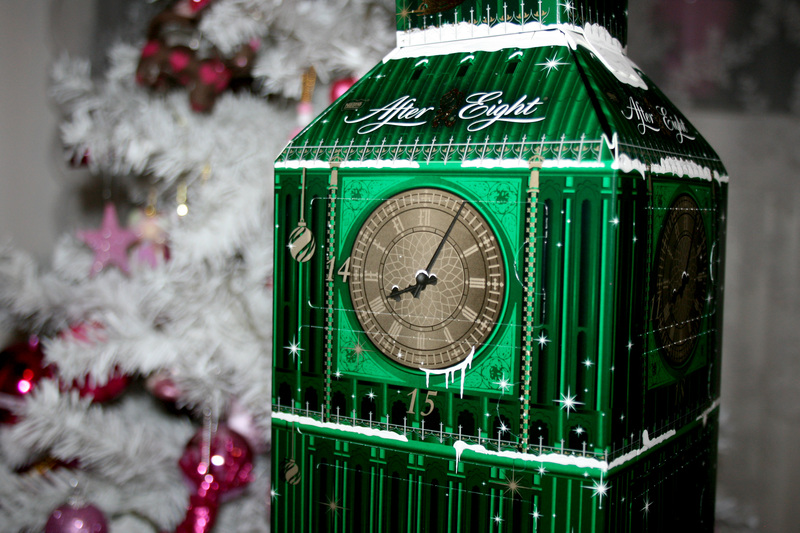 I got one from H&M with cute jewelry and an After Eight one in the shape of Big Ben. Christmas Dinner – In Germany, we actually celebrate three days of Christmas which means there is a lot of food. Christmas Eve is the best because my family and I have beef fondue and you wouldn’t believe how much I eat. I always win. It’s very special because we really only do it once a year. So it’s meat, bread, garlic butter, sauce, all kinds of sides and for dessert, we bring out the chocolate fountain with some fruit. I mean, if that doesn’t sound like the perfect Christmas feast, what does. So in a couple of hours, I will be the one lying on the floor unable to move and I’m really looking forward to it. Christmas Accessories – If I could, I wouldn’t mind just walking around in an elf costume, all throughout December, but I’m sure that most people wouldn’t understand. I did buy myself some Christmas leggings though. I still want an ugly Christmas sweater because I usually think they’re not ugly, at all, but I haven’t found the right one. I’m definitely putting that on my shopping list for next year. I have lots of accessories like head bands, earings, a necklace with bells etc. and I can’t wait to wear it all and sound like a jingle bells song, every step I take. Family Madness – I admit, I do complain about it every year but deep down, I love it. Two years ago, I almost didn’t spend Christmas with my family and the thought of it was terrible. So I paid a fortune for a flight from San Francisco to Frankfurt but it was definitely worth it. It made everyone very happy. You never know for how long people will be in your life, so even though it’s stressful, I try to enjoy it. The same procedures, the same traditions, the same food, but I wouldn’t want it any other way. Sometime in the future, I’d like to spend Christmas time in New York though, but we’ll see how that goes. 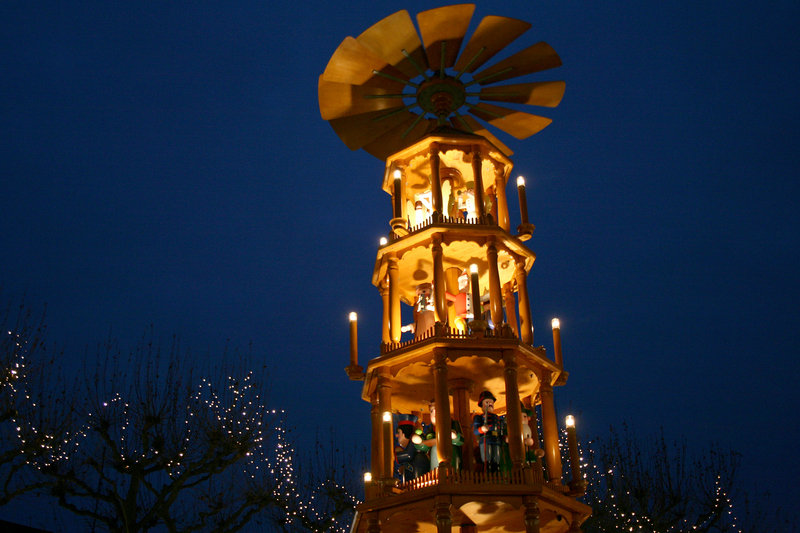 Christmas Markets – Now this is something us Germans are really good at. Our markets are extremely beautiful and they are often copied in other countries. With all the beautiful lights, the yummy food and little booths that sell stuff nobody really needs, but still feels like buying around Christmas, it’s just a must to visit. I mainly go because of the food. Usually, you find everything from sausages, crêpe, waffles, candy, soup to whatever else you can think of. I definitely go for a good bratwurst and something sweet. This year, I opted for churros. Unfortunately, I don’t like mulled wine which is what people mainly drink, but children’s punch is so much better. Christmas Presents – Sure, Christmas shouldn’t be just about presents, but it sure is great to give and get some. When my brother and me were kids, there were always so many presents under the tree, it was insane. I miss that but when you get older, you pretty much always get money, which of course is great but just not super exciting. I love exchanging some gifts with friends because that’s when I always get lots of cute things. They know me very well and I’m super easy to shop for. I also love giving presents and put a lot of thought into what to give people. I’m also a fan of Secret Santa because it’s an even bigger surprise, since you don’t know who has your name. 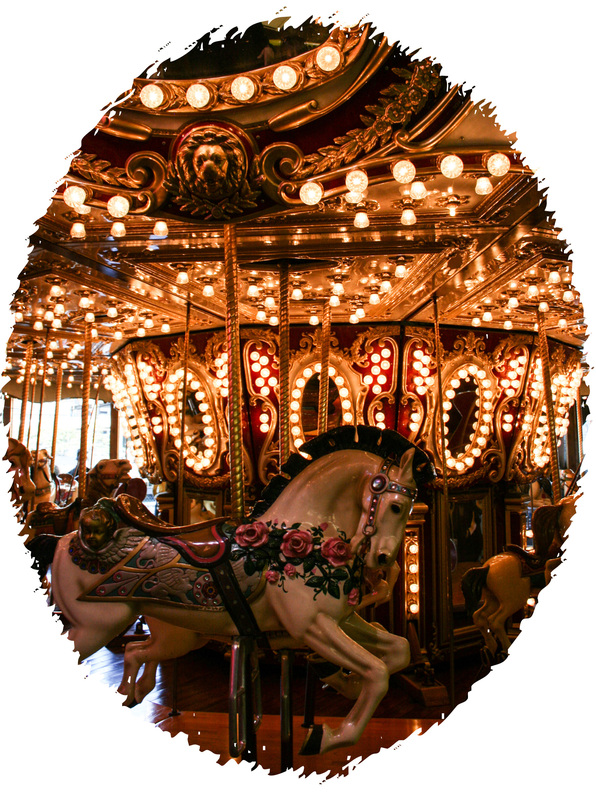 This entry was posted in A Rollercoaster Ride and tagged accessories, candy, chocolate, Christmas, decorations, family, food, Friends, fun, holidays, lights, Merry Christmas, movies, music, Netflix, presents, Santa Clause, traditions. Bookmark the permalink. With you on everything but the music! I like it, just wish there were a few new tunes now and then! I’m definitely going to start getting good advent calendars each year. I always got a cheap one, but my Body Shop one was actully exciting.